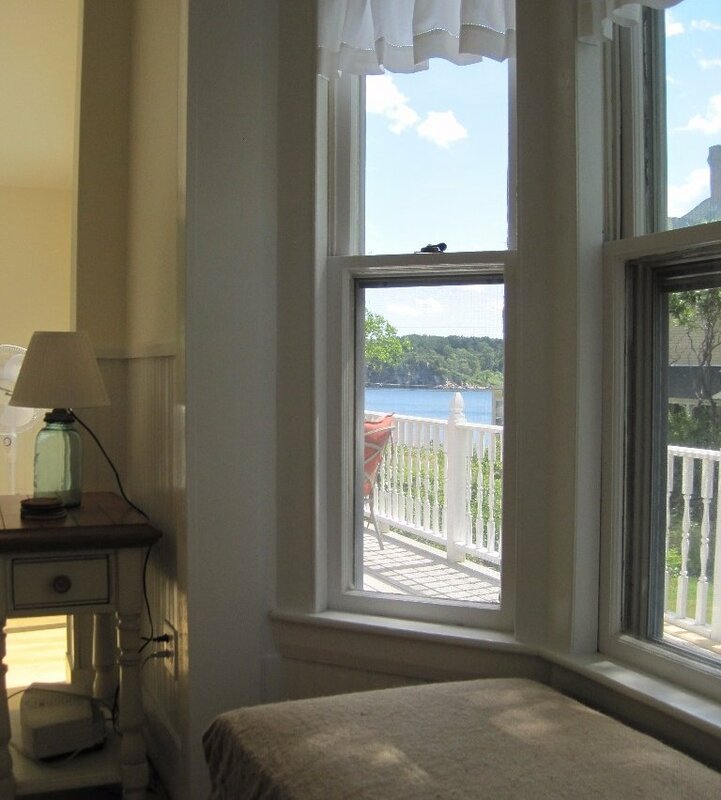 We rent our Peaks Island, Maine cottage weekly in the spring, summer, and fall. 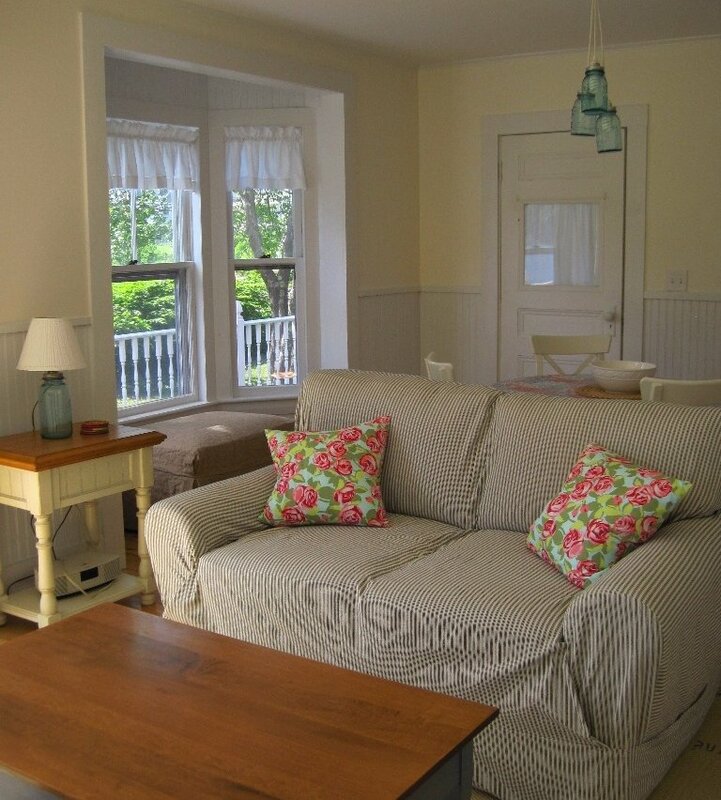 Our house provides a peaceful vacation home for a lovely getaway! Our 1857 home sits in a quiet neighborhood on the south side of Peaks, one lot removed from the ocean. 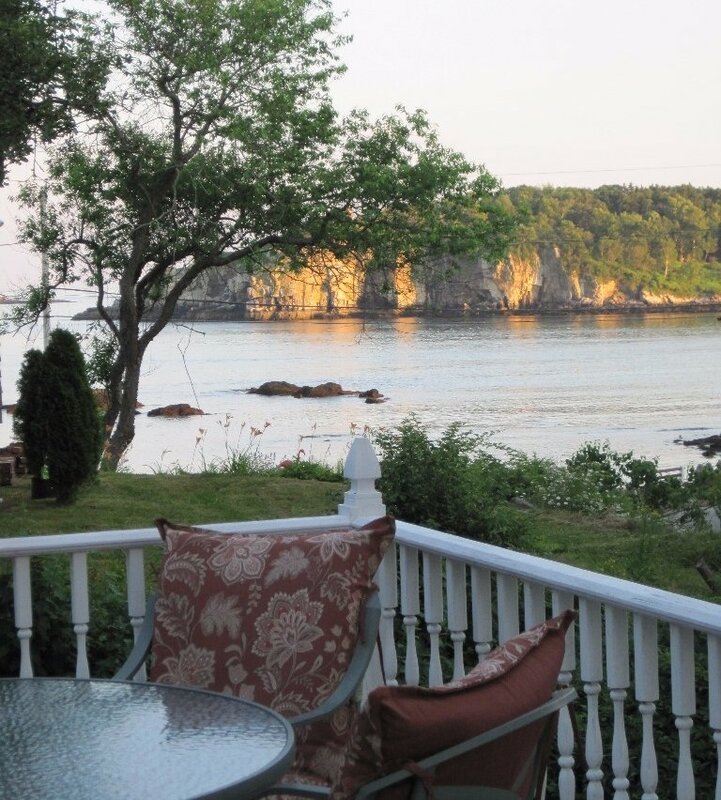 You can smell and hear the surf, and see Cushing and Ram Islands and Whitehead Passage from the house and large porch. 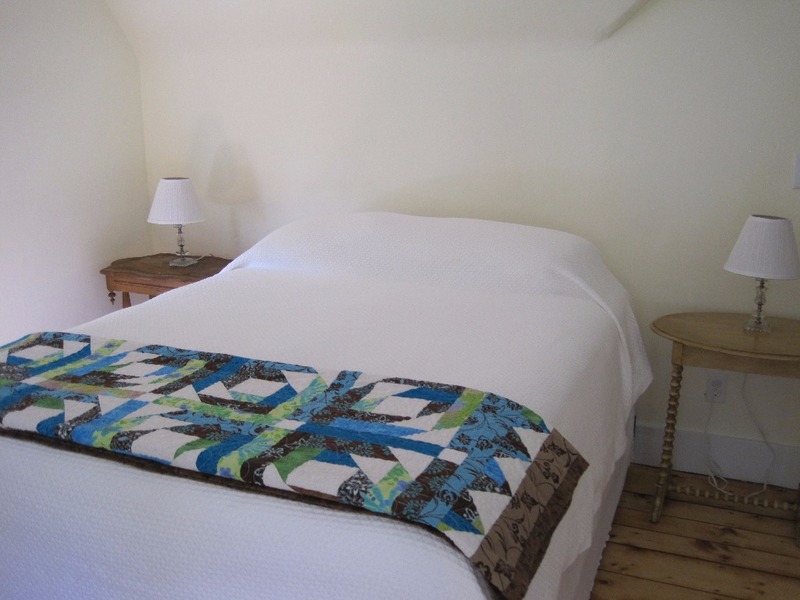 Our home has three bedrooms and sleeps six people (one queen bedroom and two bedrooms with two twin beds each). 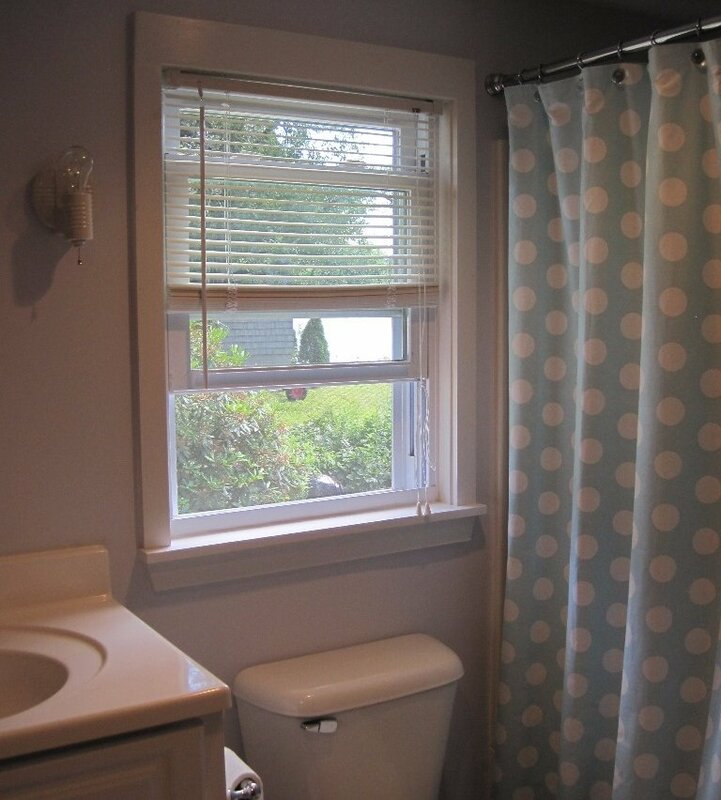 There is a full bath on the first floor. 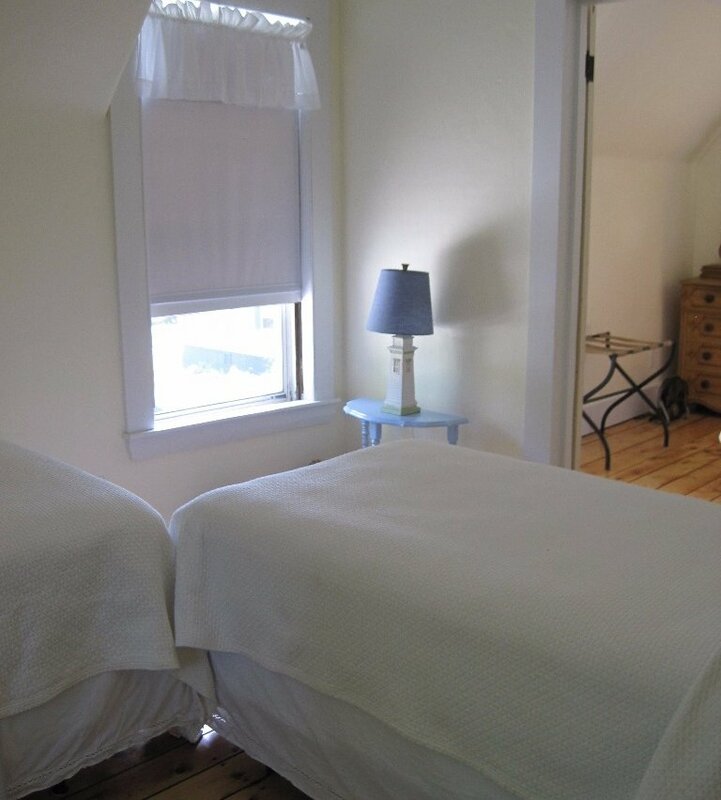 Totally renovated in 2012, our house is decorated with a mix of antique and modern furniture, outdoor area rugs, newer beds which have always had allergy encasements and cotton bedding, and newer appliances (washer/dryer, dishwasher, range, espresso machine). There is a sizable side yard that is great for kids. It is 0.6 miles to the ferry (about a 10 minute walk), and half that distance to a sandy/rocky beach. There is a rocky beach which is great for exploring just around the corner from our house. We ask that guests not bring nuts or nut products to the house as two of our children are allergic. This is a non-smoking home and we do not allow pets or fireworks. From the ferry on Peaks, walk up the hill and take a right on Island Avenue. Continue on as Island Avenue bends to the left and goes uphill (this is the steepest uphill you will encounter!). Take a right on Whitehead. Continue on as Whitehead bends to the left. Keep going straight. Go past the turnoff to Seashore Avenue on the right and our house is the next one on the right, #17. It is white and has a large porch, and has hedges in the front. Check in is Saturday at 4:00 p.m. and check out is Saturday at 11:00 a.m.
No smoking, pets, or fireworks. We ask that guests refrain from bringing nuts or nut products. Sometimes the nostalgia of old mixes beautifully with something new. This is a Peaks Island treasure being one of the oldest island houses. Yet, it has been updated to capture all the needs of a spanking clean, new house. Clean, yes so clean! Beds and linens very comfortable, spacious living area and the perfect porch/deck for morning coffee with a view, or a shady relaxing spot later in the day with Cushing Island in view at all times. Peaks has been a family spot since the late 1950's so here comes the nostalgia! The cottage has a rather steep stairway to the upstairs but without the "trip step" (if you are old enough, you know trip steps were used to warn of intruders!) Personal nostalgia enters my mind; as teenagers rowed to Cushing in a boat we had sunk in the cove overnight to keep it from leaking. Still, we had to bail water all the way over and back. We are long past those days. 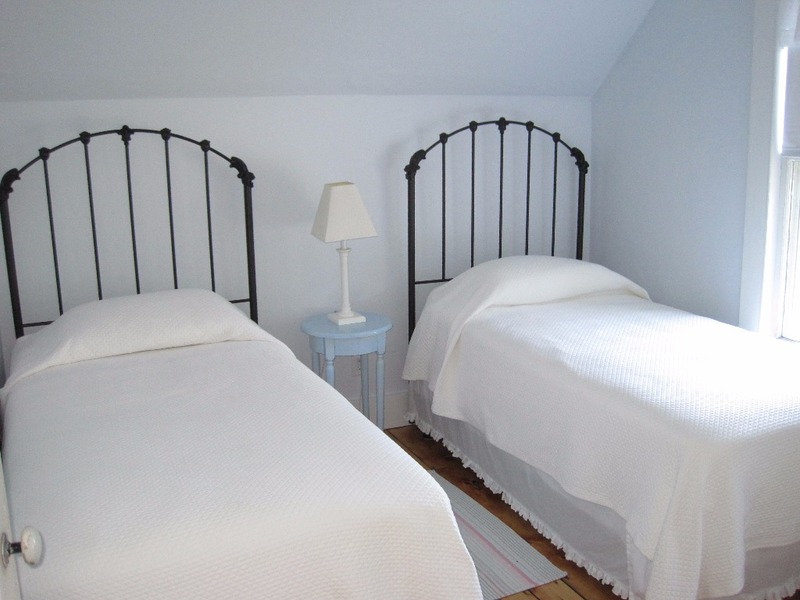 However, the island still beckons, and the way we enjoyed our stay in this sweet cottage was every bit as pleasing. 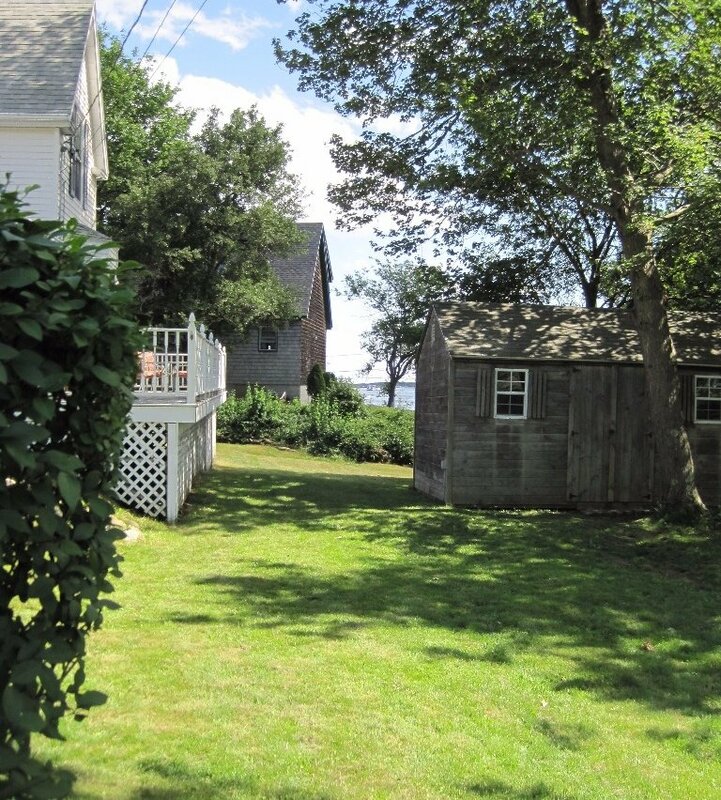 This is a cottage suitable for people of all ages, and the island is a place for exploring, swimming, learning some civil and WW ll history, and more. We did not turn the TV on so as not to interrupt the charm of island life, but it is there if you want it. Peaks will weave its way into your heart! We have stayed in many cottages over the years, but this one charmed us from the moment we stepped inside. Gwen was available, though we barely needed to call her. She and Randy are fine hosts. We thank them for sharing this treasure with us. The house was absolutely lovely upon arrival, when we walked through the front door we knew we would have a great week there, everything was spotless, and fresh. 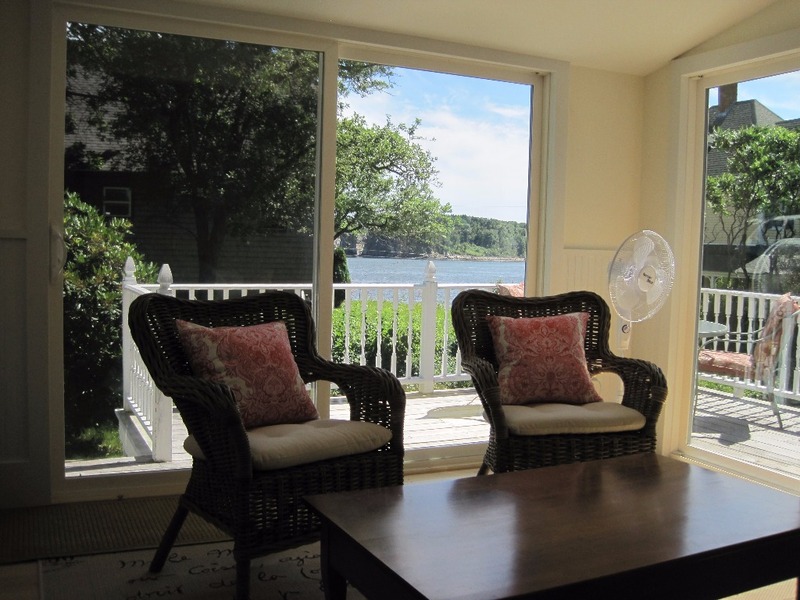 The water views were impressive, and the deck was nice, the kitchen had everything we needed, everything was very high end for a vacation property, the bedrooms were fresh and the beds were very comfortable, Gwen was great to work with always got right back to us, loved everything about this property. Our family had another wonderful vacation on Peaks and we loved this cottage! Great location near the water and easy bike ride to down front. Gwen was great at responding quickly to our emails/questions. The cottage is beautiful and had everything we needed. Thanks Gwen and Randy! We hope to return to Peaks and really hope we can rent your cottage again! We stayed here in August for a week around a wedding celebration and couldn't have asked for a more ideal house or location. While we live only a short ferry ride away, we felt like we were vacationing in a different world. 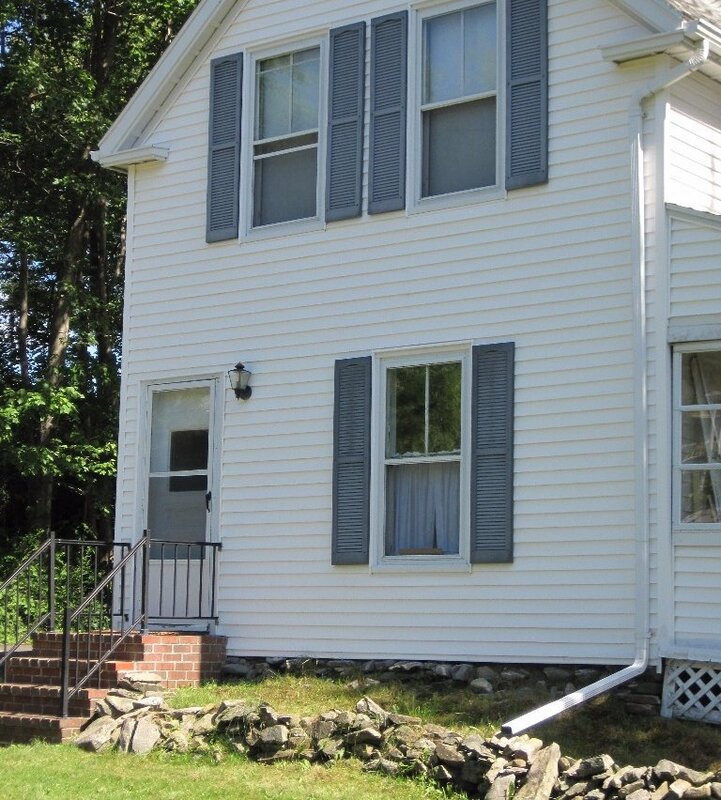 The house is perfectly located just a 1/2 mile from the ferry in a quiet neighborhood. We didn't bring a car, but just rode bikes back and forth to the "downtown". Our 9 and 12 year old boys loved heading out on biking adventures by themselves which we felt comfortable with, given the slow island traffic. 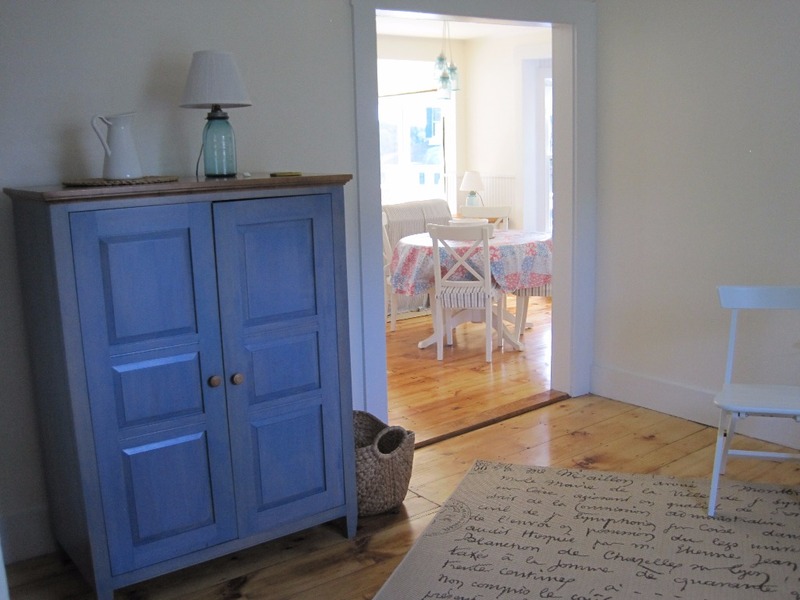 The house itself is a truly charming historic cottage with built-ins and lovely pine floors. 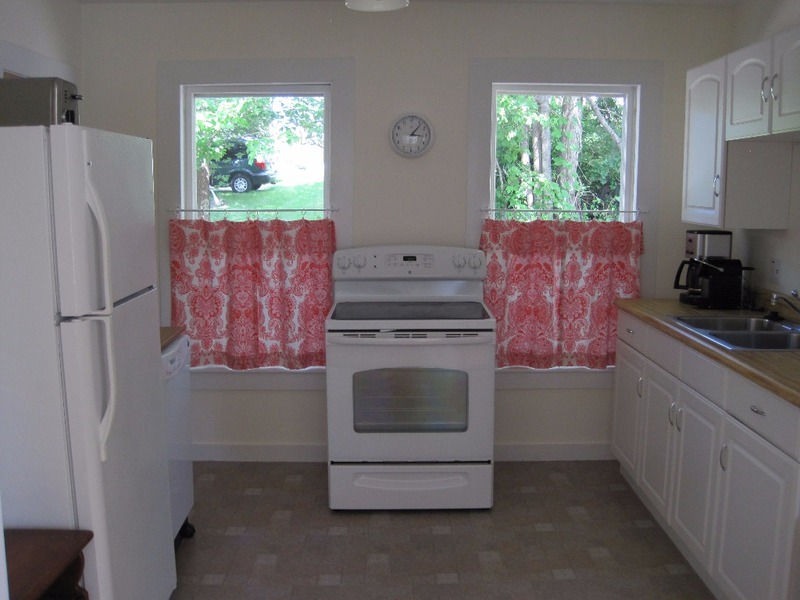 It was exceptionally clean and the kitchen was well stocked with all manner of utensils & pans. We spent a lot of time playing games on the wrap around deck with great ocean views. 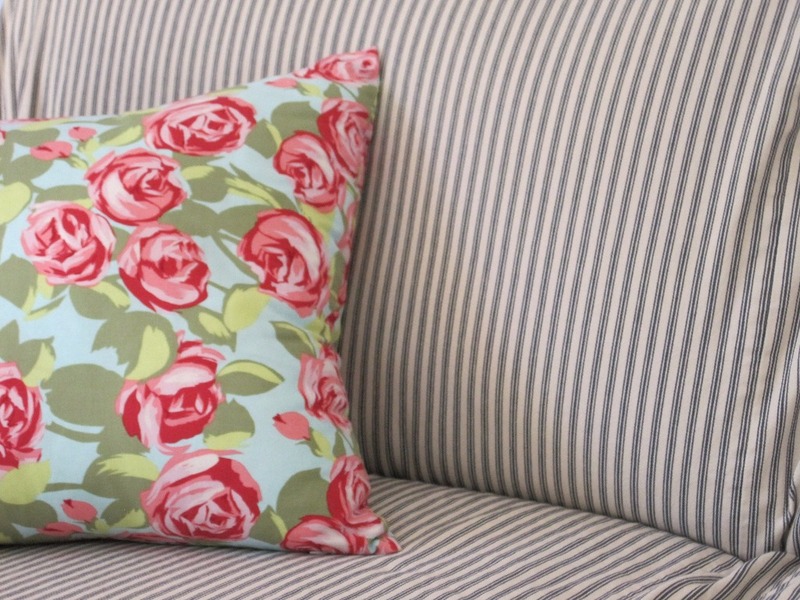 We arrived at the house in the dark and the next morning, upon seeing the sparkling light-filled interior and porch, our nine year old announced "I love this house". The boys found a rope swing near the ferry which they loved and we spent time running an biking around the island, building cairns on the nearby beach, and dining at the Peaks Island Inn. The owners could not have been more accommodating from the welcoming note and bubbles for the kids, to a very organized notebook of each appliance in the house and local attractions. We'll be back, thank you so much! We spent a week in July/August 2012 at Gwen and Randy's cottage and we were very pleased with our stay. Our hosts were very helpful and friendly. They provided all the information we needed as first-time traveleres to Maine (and Peaks Island). They kept in touch the whole time; the communication with them was very easy. 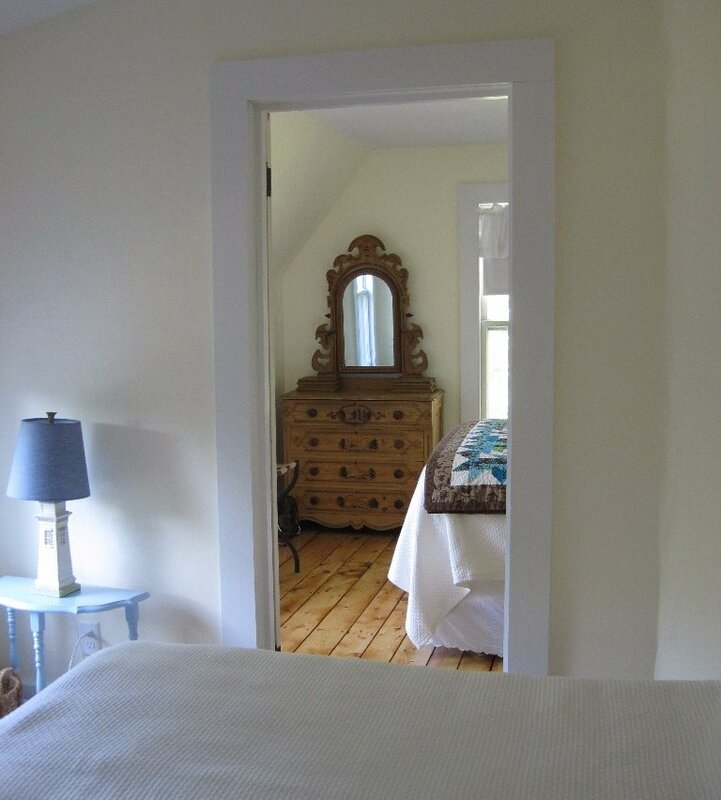 The listing description is very accurate, and so are the photos. The cottage itself was very clean and organized. We found everything we needed for comfortable stay. There is lots of books, DVD's and board games at the cottage, for rainy days. Our kids had lots of fun too. There was a kiddie pool with lots of toys in the shed. My two-and-a-half year old loved it! The beaches are within walking distance. You can easily rent bikes to get you around the island; it's lots of fun. Peaks Island is beautiful; perfect for a peaceful family vacation. We will be definitely comming back. Thank you Gwen and Randy! !